At this year’s Conference of the Parties (COP23), held in Bonn from November 6-17, China’s special representative for climate change, Zhenhua Xie, confirmed that the world’s most populous country had designed its own carbon market which will be established very soon. By enlarging and unifying its carbon market, Beijing will increase the proportion of the world’s population covered by an emissions trading system from 15 per cent to 25 per cent. He also tipped his hat to the EU that made a start with its own carbon market—EU Emissions Trading System (ETS)—launched over a decade ago, following the Kyoto Protocol. The Kyoto Protocol is an international agreement that has set legally binding emission reduction targets that the industrialised countries must meet in order to combat climate change. It makes a distinction between industrialised (Annex) countries, which receive emission reduction obligations they must meet, and developing (Non-annex) countries that participate by investing in projects that lower emissions in their own countries. For these projects, they earn carbon credits. A flexibility mechanism—‘cap and trade’— which allows Annex countries to trade their emission reduction obligations, was pushed through during the Kyoto Protocol by the US to give industries flexibility in how they meet their targets. Essentially, carbon is given a price and then polluting entities, which are unwilling to meet their emissions reductions cap, can trade ‘carbon credits’ from those that have done more to reduce emissions. For example, if an environmentalist group in a non-Annex country plants enough trees to reduce emissions by one tonne, it will be awarded a credit. A corporation in an Annex country that may have an emission quota of 10 tonnes, but is expected to produce 11 tonnes, can purchase the carbon credit from the former. Carbon credits are one of the main sources of income for the UNFCCC Adaptation Fund, which was established to finance adaptation projects in developing countries. However, according to many climate advocates and NGOs, carbon markets only shift the responsibility from the polluters to the invisible hands of the market and fail to decrease emissions globally or advance climate equity. “Markets are often portrayed as a magical solution to environmental pollution. Study after study shows that carbon markets make things worse. Not only do they not address the problem, they create new ones,” argues a new report by Corporate Accountability International (CAI). Europe’s carbon market, the longest operating trading scheme, has so far failed to reduce emissions. The caps are set so high that there is seldom a need to decrease emissions and the prices are so low that it hardly provides enough incentive to make a transition from coal to gas and reduce emissions, according to the CAI report titled ‘Polluting Paris’. 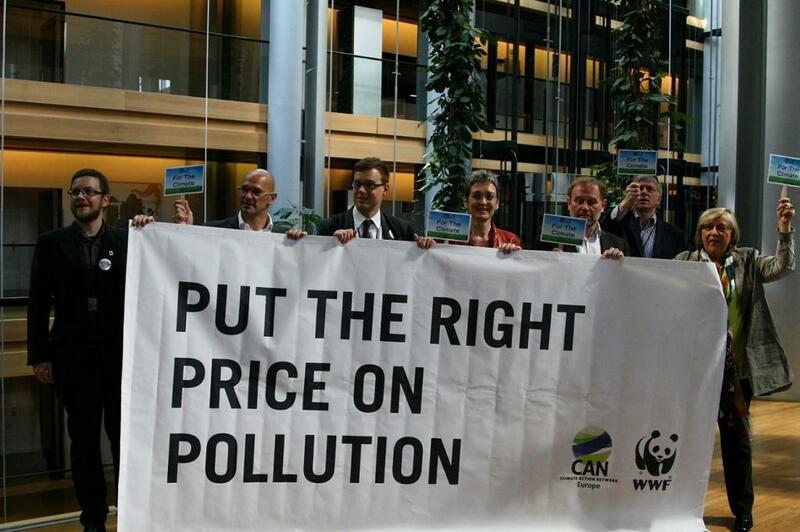 For example, a tonne of carbon is valued at €7 ($US8.3). “Beyond these errors, emission trading schemes like this one give way to short-term profit seeking, fraud and speculation, and environmental injustice; enable windfall profits by those who receive free allowances, hinder innovation, and impede the systemic changes required to implement a low-carbon economy,” it adds. According to CAI, negotiations need to reject commodification of carbon and put in place regulations at the national and global level that require entities to reduce emissions equitably and drastically, instead of just “shift them around the planet”. The report calls for “Advance non-market approaches to international cooperation that hold the greatest potential to decrease emissions”. One such approach could be a direct finance at the national level that supports developing countries in realising the evidenced benefits of approaches such as energy transformation, technology transfer, forest preservation and sustainable agricultural development. The Paris Agreement does include non-market approaches to reduce emissions due to the demands of delegates from developing countries. However, the US and EU also pushed through a deal to implement a new carbon market mechanism and cooperative approaches linking markets around the world by introducing a new carbon currency (coined ITMOs or internationally traded mitigation outcomes). Parties are now developing guidelines for these approaches as part of larger negotiations on implementing the Paris Agreement that will be finalised by 2018. However, according to the report, individuals and organisations that prioritise corporations over people have become involved in working on the finalised guidelines for the emission reduction obligations. Big polluters such as British Petroleum (BP) and Rio Tinto helped set it up in 1999. Today, its corporate members still include BP and Rio Tinto, as well as Chevron, BHP Billiton, Dow, Duke Energy, Repsol, Xcel Energy, Veolia, Statoil, and Total. A Rio Tinto executive sits on its board of directors and senior staffs from BP, Shell, Chevron, and BHP Billiton direct it. If the most effective way to address climate change equitably is by ensuring that industrialised countries take responsibility for their emissions, instead of sweeping it under the market rug, the finalised guidelines must reflect it, say experts. It is crucial that the upcoming negotiations fully address the shortcomings of the carbon market and not divert attention from real solutions. “Governments at these climate talks are wasting time meddling with rules of markets—already shown to be a dead end—while the planet burns,” concludes the CAI report.